The president-elect called for the U.S. government to cancel a deal with Boeing due to cost concerns. Antonov Comany, the only Ukrainian designer and manufacturer of cargo and passenger aircraft, has proposed US President-elect Donald Trump its aircraft for US presidential fleet. "Maybe it is better to consider Antonov aircraft as Air Force One?" the representatives of the company wrote on Twitter microblog in response to Trump's tweet. Earlier, Trump said he was set to cancel the order with Boeing because its cost of 4bn dollars was too expensive. "Boeing is building a brand new 747 Air Force One for future presidents, but costs are out of control, more than $4 billion. Cancel order!" reads the Trumpэs tweet. Boeing in January 2016 landed a contract to develop a new generation of aircraft for US presidents on the basis of Boeing 747-8 liner. It is expected that the new presidential aircraft to be commissioned by 2024. 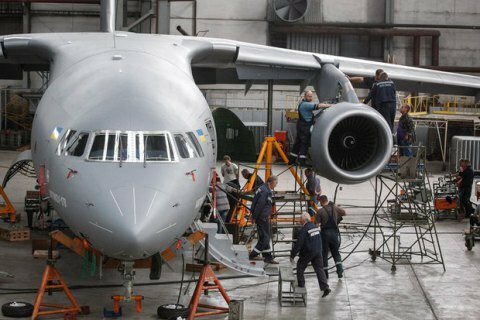 Antonov has released 16 production aircraft over the past seven years: six AN-32, three AN-148 and six AN-158. In early 2015, President Petro Poroshenko chosen An-148 as his Air Force One.